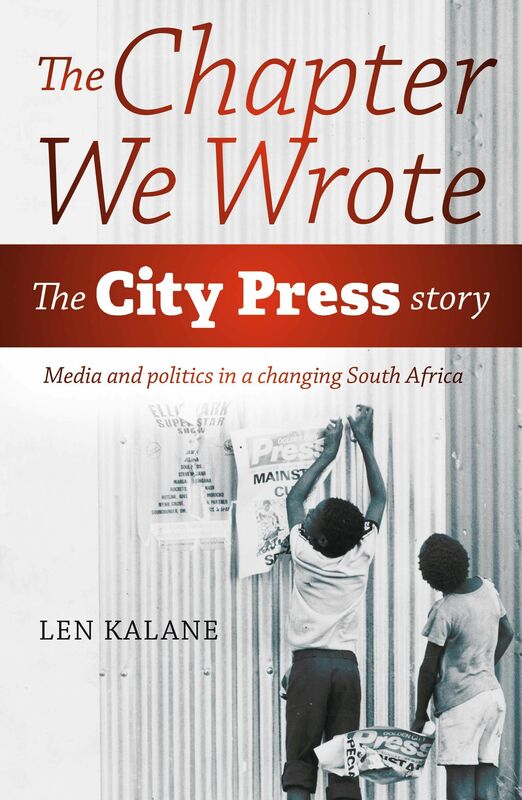 In The Chapter We Wrote, Len Kalane, former editor of the newspaper, tells not only the story of City Press, but also a tale of the stories and events that shaped contemporary South Africa. Kalane traces the birth of City Press in the 1950s and the early days of the newspaper, along with its iconic sister publication, Drum magazine. He details the role that Naspers, who bought the paper in the 1980s, and the erstwhile apartheid communication machinery played behind the scenes in an attempt to reconcile two constituencies – Afrikaner and black nationalist – and to move South Africa out of its political conundrum and towards a negotiated, peaceful settlement. The book is in memory of author and journalist Percy Qoboza, and also incorporates a selection of his columns. It brings vividly to life the newsrooms of an iconic South African brand, and will be useful to students, academics and the interested lay reader. Len Kanalei s a former City Press editor, and was executive director at RCP Media, incorporating Rapport-City Press. He joined City Press in 1983, from the Sowetan. Kalane started his journalism career at The World and Post newspapers, both banned by the South African apartheid government in 1977 and 1982 respectively. Kalane also helped found Kaya FM, one of the first post-democracy privately-owned radio stations in South Africa, and was on the MNet board of directors until 2001. He has also served as an executive in Telkom and has launched various media companies. He is currently a media consultant. When Drum owner Jim Bailey launched City Press in 1982, the name harked back to the days of the Golden City Post, of Sophiatown, township jazz and legendary journalists such as Lewis Nkosi and Bloke Modisane. The upstart City Press went from strength to strength, gradually challenging the big players as a vibrant voice of black South Africa. In 1984, a buyout by media giant Naspers raised eyebrows, but in fact opened a new chapter in journalistic excellence, building bridges between Afrikaner and black nationalism in the dying days of apartheid. Former City Press editor Len Kalane looks back on the history of City Press, weaving into it the stories of a changing South Africa, the influence of Black Consciousness, the impact of the Soweto uprising of 1976 and the challenges of reporting during States of Emergency, as well as the personalities who made it all happen. The Chapter We Wrote is replete with colourful characters, none more than former editor Percy Qoboza. Several of Qoboza’s most memorable columns are included here, making Chapter We Wrote a fitting tribute to his acerbic but incisive pen.